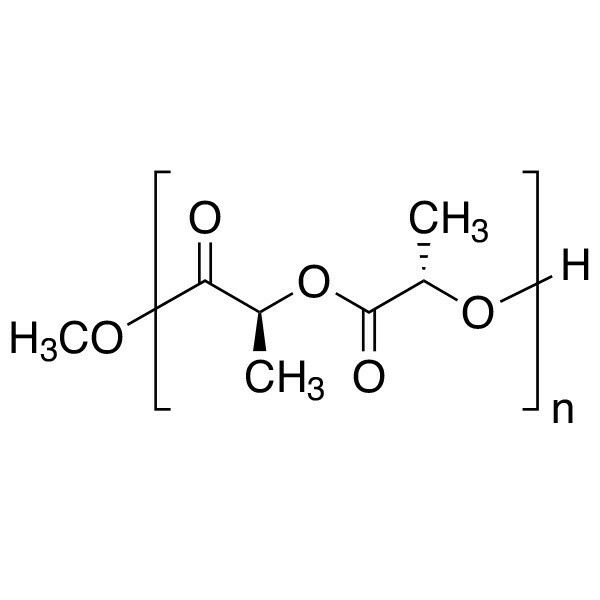 Poly(l-lactic acid) [MW ~325,000 - 460,000] | Polysciences, Inc.
Poly(L-lactide) (PLLA) is a biodegradable polymer for medical device and pharmaceutical applications. It is used to fabricate resorbable medical devices that degrade over months in physiological conditions. Due to their history, polylactides are one of the easiest and most affordable biodegradable polymers for medical devices. 3. Boschetti, F., Tomei, A. A., Turri, S., Swartz, M. A. & Levi, M. Design, fabrication, and characterization of a composite scaffold for bone tissue engineering. The International journal of artificial organs 31, 697–707 (2008).